One year ago in August, Michael Brown was shot dead by a St. Louis police officer in Ferguson, Missouri. 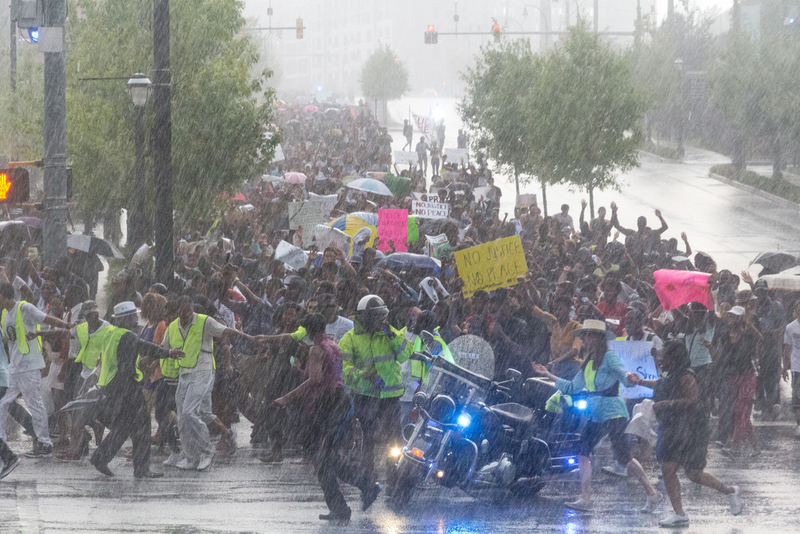 The mass demonstrations that followed ignited a national dialogue about police brutality and racism, challenging the widely held but deeply flawed belief that we live in a “post-racial” society. Kennesaw State University student Julian Plowden took his camera to the first Ferguson solidarity rally in Atlanta and became a movement documentarian overnight. 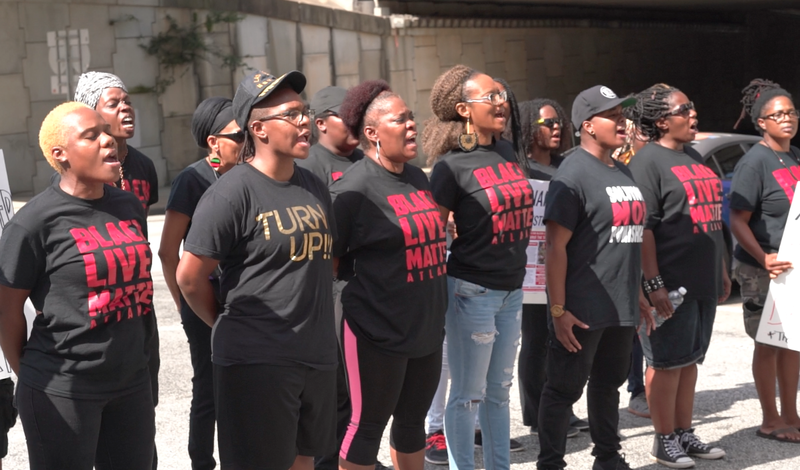 “When I went to Ferguson, I saw camera crews almost everywhere surrounding the marches, and I quickly noticed where the media wasn’t going,” Plowden said. 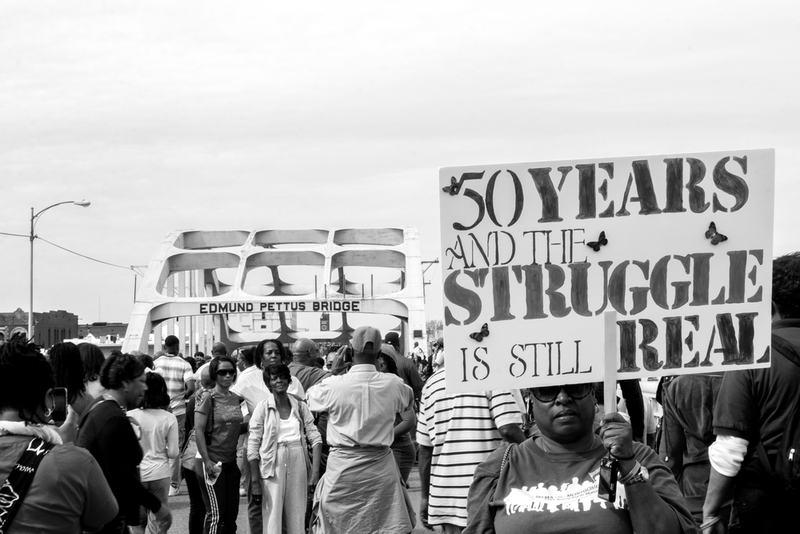 In the months that followed, Plowden photographed demonstrations in Atlanta, Ferguson, and Selma, Alabama, capturing the rage and power of the crowds as well as quieter moments that invite reflection on the struggle for Black liberation.